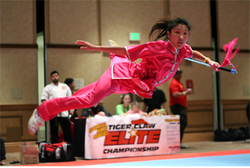 99 Martial Arts Center is a world-class Kung Fu/Wushu institution that can turn you into a top martial artist. Here at 99 MAC, you will receive the finest instruction in authentic Chinese Kung Fu/Wushu. Our coaches are internationally recognized for their exceptionally high level of attainment in the art and for their many years of experience as top-level coaches here in the US . Our Coaches have won countless national and international champion in the past in Canada , and the United States . 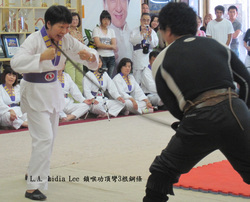 They are ready to create their next lineage of students skilled in the traditions of Chinese Martial Arts. It is our goal at 99 Martial Arts Center to preserve and increase awareness of our Kung Fu tradition and to share with the community the values and benefits of Chinese Martial Arts. As such, we provide classes in authentic Chinese Kung Fu within a comprehensive and extensive program for men, women, and children of all ages and initial skill levels. Our goal here at the Center to help boost your children's confidence, learn respect and self-defense. We actively take our children out to local competition and have won countless medals. Many students have graduated and excelled in their lives after the training. Some of them have been accepted by top universities, with the benefits of the trainings they learned at the Center. 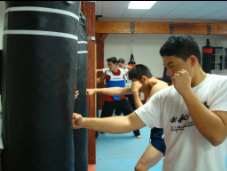 Our main focus here at the Center is not only to provide martial art class for your child, we also offer other extra curriculum classes to increase awareness of Chinese traditions. In the past we have held Chinese calligraphy class for our students and special mountain training classes throughout the year. We are confident that you will be satisfied joining our school. We are not like other school who only cares about the training aspect and creating pro-athletes. We are more than that. We care about your child's well-being and put our emphases on their health and growth. All our classes are taught to increase your child's stamina, enhance growth, learn self-defense, respect others and most importantly build confidence. Please call us for more information! Our Special Tai Chi classes are not like your average Tai Chi, it is only taught here at 99 Martial Arts Center where Grand Master Tu with his 30 years of experience has incorporated both Qi Gong and Self Defense into one discipline. Some of the downfalls of doing regular Tai Chi is that it can cause chronic joint problems if done incorrectly and often limited for older practitioners due to the high level of movement and forms. Our Qi Gong Tai Chi is suitable for all ages and is easy to learn! Not only will you feel the heat circulation with in minutes of practicing, you will feel lighter and healthier! Our Qi Gong class are taught by a world renown Grand Master Tu. For more information please visit our main website.